(1898-1985), Major, 1923; Lieutenant Colonel, 1927; Colonel, 1933; Major General, February 26, 1940; Lieutenant General, June 3, 1942. 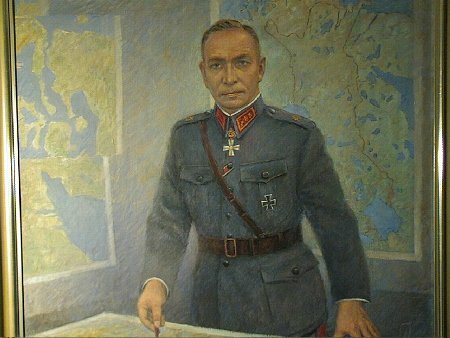 Received his military education in the Finnish Artillery School in 1918, and in the French Military Academy 1921-1923; Chief of the Operative Department of the General Staff 1933-1939; Quartermaster General of the headquarters 1939-1944; Chief of General Staff of the main headquarters 1944-1949. Mannerheims important operative ADC during the Winter and Continuation Wars. In arrestation 1945-1948 on grounds of the "Weapons Cache" case.